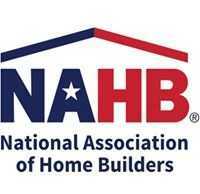 WASHINGTON – (RealEstateRama) — Members of the National Association of Home Builders (NAHB) are celebrating Professional Women in Building (PWB) Week Sept. 18 – 22. The goals of PWB Week are to highlight the many contributions women make to the residential construction industry and offer an opportunity for PWB members to share the value of council membership. Members across the country will celebrate in a variety of ways, including holding events to honor achievements of local members, fundraisers to create scholarships for women entering the industry and by teaching building skills to local school children.